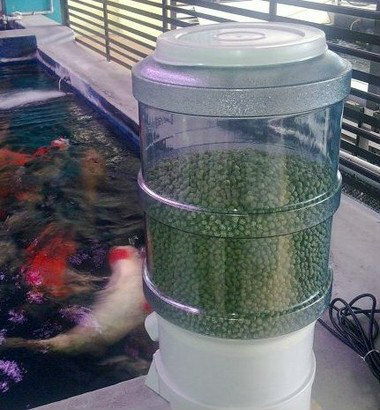 This is capable of dispensing koi food of various sizes. It can be set to dispense several times a day and the quantity is determined by the duration of the timne set. It is operated by electricity. A very reliable unit.